Ensure all players are registered online – individuals are not covered under insurance unless they are registered for the related season. Ensure any injuries are reported to your Venue Organiser immediately. Remember that the grounds can be slippery when wet, and rough in drier conditions. Therefore, all players need to ensure they complete the above steps and are appropriately covered by personal medical insurance. Pregnant persons are advised not to play given the possibility to suffer personal harm during their pregnancy due to the physical nature of the Touch Football. Pregnant persons if they decide to participate do so at their own risk and will not be indemnified by this organisation or its insurers for any injury or loss suffered whilst playing while pregnant. 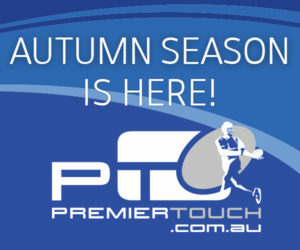 As a registered member of an Association or Club that is affiliated with Touch Football Australia, you are provided with insurance over which applies while you are involved in activities that are associated with Touch Football. The injured player has registered online. The game referee has been advised of the injury and noted on the score card. The Venue Organiser has also been notified. The policy is for reimbursement only and has an excess of $200 per claim. Then the benefits reimburse up to 80% of non-Medicare medical costs up to $3000 per injury. 1. Report the injury to your Venue Organiser. Note: Touch is a fast-moving and energetic sport. Players participate at their own risk and competition management accepts no responsibility for injuries sustained.